Little Literature: The Cutest Books You’ll Ever Wear! Anyone who loves books can relate when I say there will always be that one book that’s special. It could be any book–it could be an entire series, a favorite author, or maybe a book you published yourself. 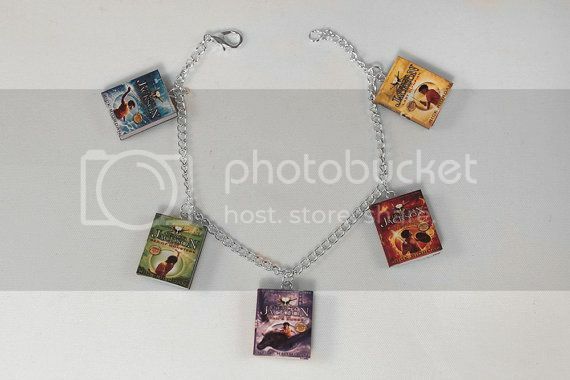 While you may have a copy of those books lovingly tucked away in your bookshelf, ready to be picked up to relive memories, imagine being able to wear your favorite book or series–as perfectly miniaturized jewelry. Little Literature‘s creations are just that. The Tales of Beedle the Bard, Advanced Potion Making, and a copy of the Daily Prophet and the Quibbler! 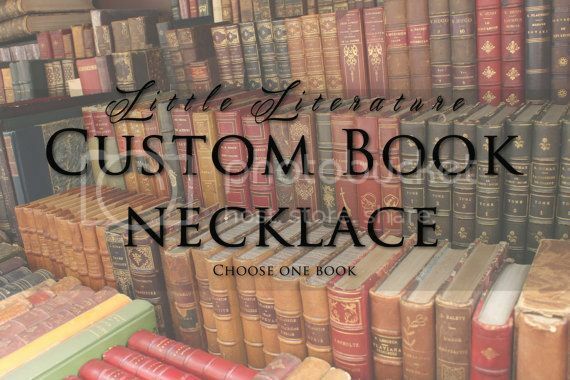 Founded from a passion of reading and crafting by Abigail Butler, Little Literature creates jewelry of amazingly exact replicas of full-sized books, ranging from 1 inch to 3/4’s of an inch. These tiny books are printed in high definition, making sure each book cover is as crisp as can be. This attention to detail applies to the spines, while each page is handcut and meticulously assembled to make each book charm look like just like their regular-sized counterparts. Worried about wear and tear? You don’t have to be: they’re not just printed on completely tear and waterproof materials–each tough little charm also finished with either a matte or glossy fixative, depending on the kind of book being replicated. This doesn’t mean you shouldn’t care for them as much as you would a real book, of course, but you can rest assured that these miniatures can survive being worn on a rainy day. What kind of jewelry and books? 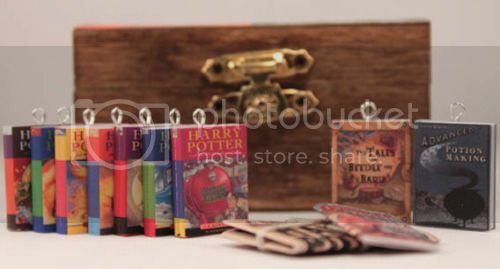 Their jewelry selection ranges from bracelets, earrings and necklaces to keychains, charms, bookmarks, and box collections of entire series–just like the gorgeous Harry Potter set shown above! 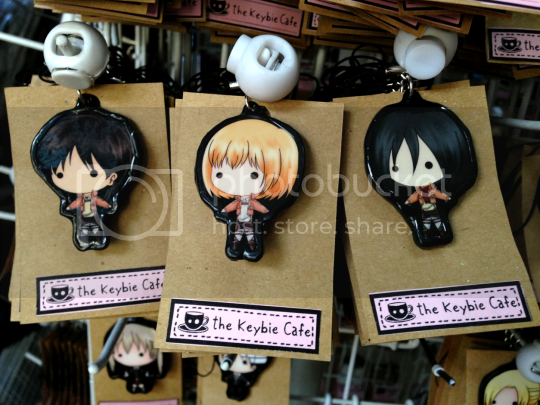 While Little Literature does have a lovely selection of novels, they also create jewelry of manga, comics, and even newspapers and magazines. Harry Potter, Attack on Titan, Percy Jackson–the only limit is your mental library. 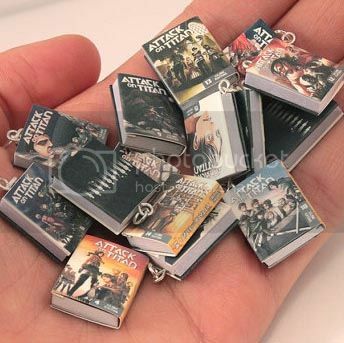 What’s more, they can turn any book you want into your very own miniature book charm! 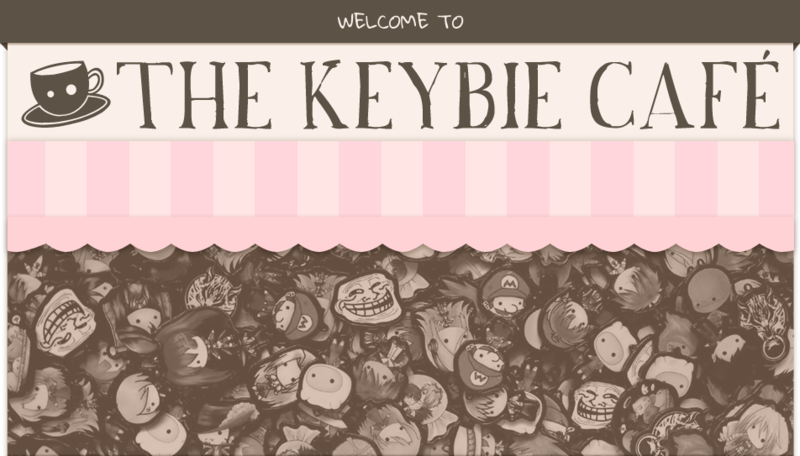 Just like the Keybie Cafe’s keybies, you can provide them with the book you want, and include a link to the cover you’d like when you checkout at their shop. Authors, you can even have custom charms made of your own book! 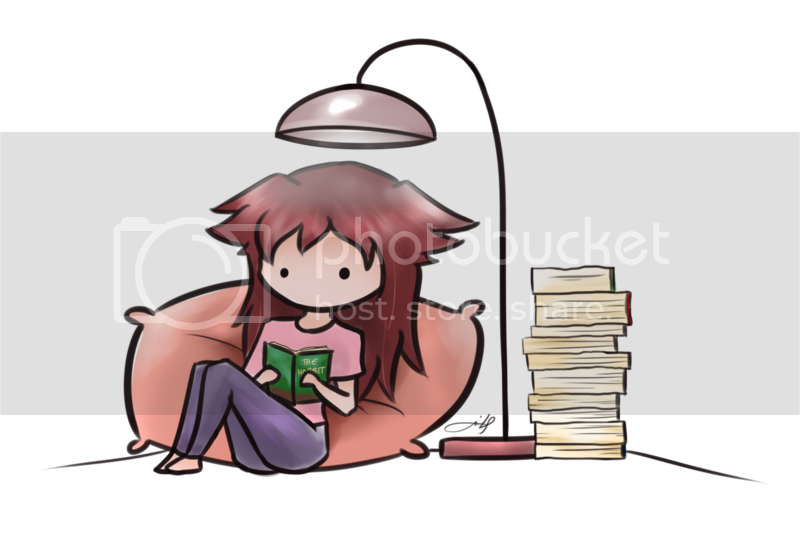 Make sure you check the links below to have your very own Little Literature book charm! There’s always something fascinating about miniatures. ‘Cute’ and ‘small’ are words that, when put together, make our favorite things easy to bring everywhere–just like our keybies. All images are owned by Little Literature and reposted with permission. Casual Cosplay: 20 More Anime Outfits You Can Wear Every Day! The Cutest Creatures Under the Sea! 5 of the Cutest and Most Creative Necklace Designs #WNW: Harry Potter Keybies, and All-New Studio Studio Keybies! 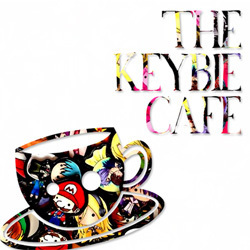 Calico Cat Cafe: Play and Dine With The Cutest Cats in Shinjuku, Tokyo! This entry was posted in Anti-Boredom, Features and tagged #FeatureFriday, book charms, book lovers, jewelry, Little Literature, miniatures by Micah Valero. Bookmark the permalink.